Golden Harvest is growing its strong portfolio for 2019 with the release of 37 new corn hybrids. 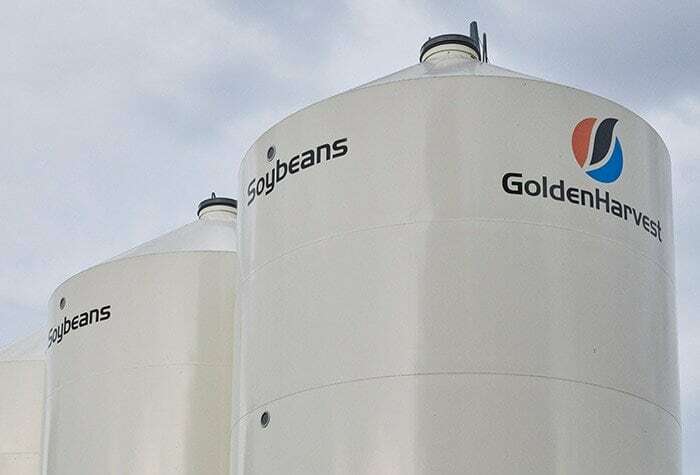 Sanken Seeds in Brownton, Minnesota, has several silos filled with Golden Harvest seeds. Golden Harvest® is growing its strong portfolio for 2019 with the release of 37 new corn hybrids—21 of which are from 16 new genetic families—and 17 new soybean varieties.
.@GLDNHarvest is expanding its strong portfolio for 2019 with the release of 37 new #corn hybrids. For more information on the Golden Harvest portfolio, go to www.goldenharvestseeds.com or contact your local Golden Harvest Seed Advisor. *Based on 2017 data from multiple locations across the U.S. and Canada. For the 2018 planting season, Syngenta has introduced five new AgriPro brand winter wheat varieties that address local growing conditions.